“One of the things I wish to promote is a fellowship amongst all the 19th Century Sims of SL. I hope this is one of many small steps we can take toward better relations and closer co-operation”. The comprehensive blog for 19th century news blogs. Miss Connolly has consolidated SL Victorian, Steampunk, Western, and other blogs that touch the 19th century into one easy to access website, including daily updates. It is the best, first stop for anyone with such interest to go and visit. Currently the highest rated SL Victorian site (based on SL Topsites ratings for July), Mr. OTooles blogs depth forces me to include it as one of the most informative (and enjoyable) sites concerning Caledon. He has successfully posted the equivalent of a “post-a-day” (as of July 31st), and the considerable effort is obvious, as his entries have extensive graphics and accompanying narrative. Duchess Gabrielle Riels business blog has grown so extensively, she has been forced to start a second blog (Radio Riel), simply to address the growth and success of her enterprise. Considerably the “entertainment nexus of Caledon“, Radio Riel has provided countless hours of musical entertainment for Caledon, along with introducing an array of high quality DJs (not to mention the Duchess herself!). Her entries vary in length (based on her schedule, I assume), but she peppers her longer entries with good, brief posts, making it essential reading for Caledon. One of the most insightful bloggers Ive had the pleasure of following, Zealot Benmergui, Baron of Bardhaven, always has intriguing entries, along with, of course, news from Caledon. Combining news and upcoming events (e.g. Journey to 20,000 leagues beneath the Mysterious Island), it is a pleasure to read his works, often with multiple daily entries [aka visit it frequently]! Also written by Miss Connolly, the Sun-Review focuses on the Western sim of Tombstone (and limited reporting on the Deadwood sim), with updates ranging from sim management (e.g. the “Deputy” incident), upcoming events (e.g. the recent commerce celebration), and RP updates (e.g. Desperado Kidd, the Apache wedding). The Sun-Review is comprehensive and regularly update (numerous entries every week). The Sun-Review also has a in-world version, under the banner of the Tombstone Epitaph. 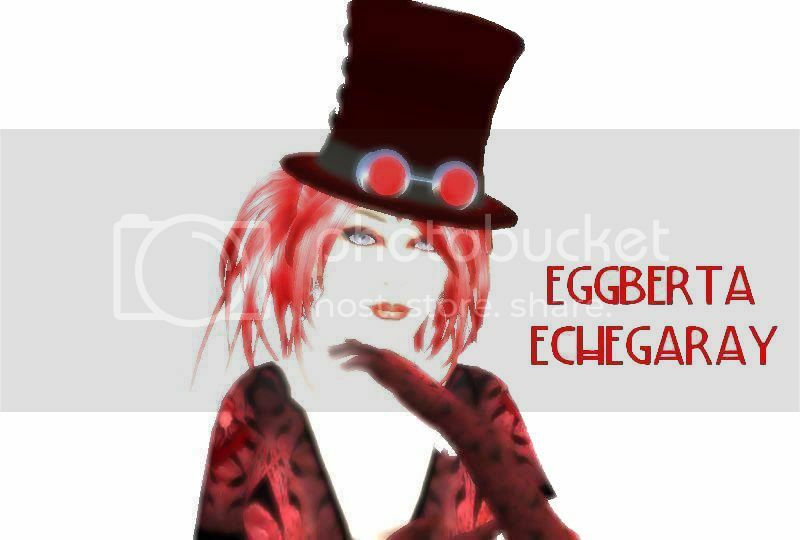 Published by the renowned Eggberta Echegaray, the Cog provides a window into the most comprehensive SL Steampunk sim, New Babbage. Its postings tend to coincide with its town hall meetings (monthly), but with a bit of fortune, more entries will be forthcoming, allowing a glimpse into the sim, including its newst underwater expansion. A new entry to the Victorian sims in SL (and for disclosure purposes, published by this author), the Antiquity Gazette is the official news source for the Antiquity Township and Antiquity Cove. Currently a bit sparse, but once the preparations for the Grand Opening are complete, I shall endeavor to make daily (or at least bi-daily) entries to the Gazette, including upcoming events, merchant profiles, and other news that concerns the sim. Not a blog specifically, but a google group with postings that concern the residents of the city, the Steelhead City News provides insights to the “Weird West”, generally based on their city meeting schedule. There are other sims that touch upon the 19th century, but I have failed to locate any blog to represent them. If anyone has information about a sim whos blog was not mentioned, or a new blog for Victorian/ Steampunk/ Western / Other 19th century sim, please annotate it in the comments, and I shall endeavor to include it in a future posting ty! An excellent and most comprehensive post, Dr Fabre. I shall attend to adding a link to it as soon as I return home and blog again. Thank you, Dr. Fabre. Is Antiqiuity Town and Cove a new Victorian-era sim? Miss Zoe – ty, once again! My offer stands to assist you as you deem necessary (and once I get past LL newest “update” *grr)! Baroness – Yes, madam, Antiquity Township and Antiquity Cove are both Victorian sims, which will open in early August… and if you are able to attend, we would certainly be honored! Yay! Victoriana is taking over the grid! I am glad to hear of their opening! Excellent coverage of all 19th century sims Dr.Fabre in your blog…As to your comment on the Babbage Cog/Blog postings coinciding with monthly town hall meetings, your absolutely right. I do happen to publish our information on a monthly basis just after New Babbage has a monthly meeting. I have in fact, put out announcements in our own in world newspaper “The Cog”, seeking assistants to help me with stories and management, but alas, no such luck has been bestowed onto me…yet. I too would love too see more Babbage news entries on a weekly basis. Any takers?! hehe!